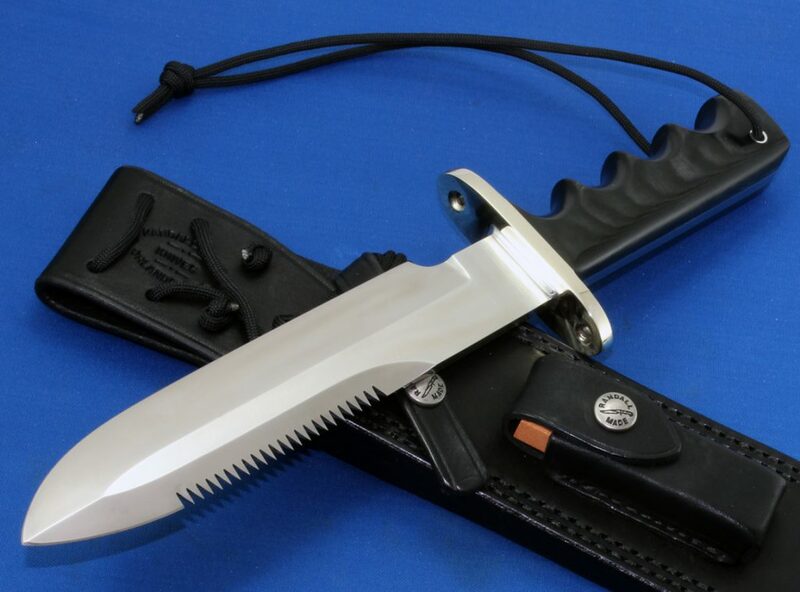 This Model #14 Attack, made famous in Vietnam, features a 7-1/2″ stainless steel blade of 1/4″ stock with saw teeth. The nickel silver hilt is equipped with model #18 flared thong holes. 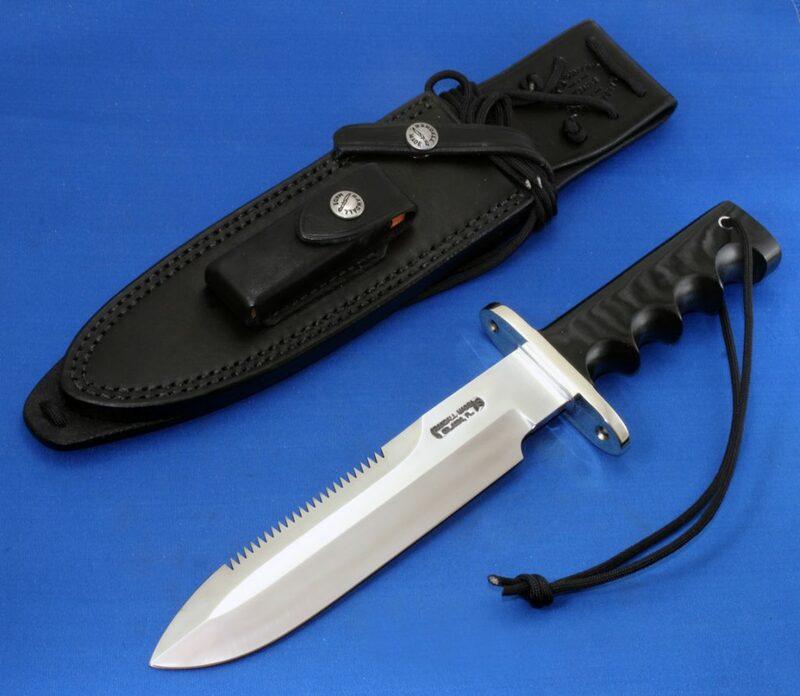 The full tang handle is crafted from virtually indestructible black linen micarta and features finger grips and a wrist thong.